After the success of the original Osborne, they followed it up with a 2nd version. This version substitutes a strong molded plastic case for the original flimsy one. No, the screen isn't any bigger. I think its functionally the same as an original version, but since this particular unit is dead to the world, I'm really not sure. 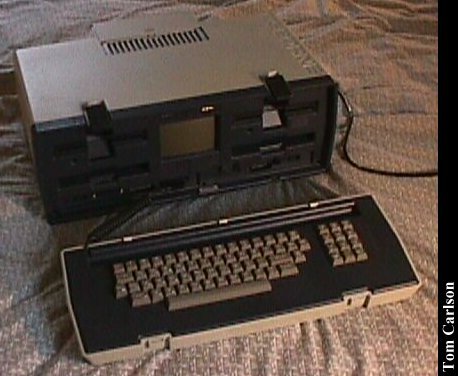 Front view of the unit, with keyboard. 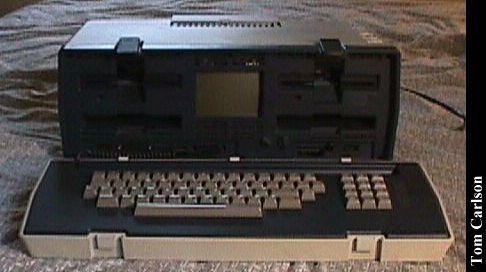 Just the front, without the keyboard. Photos just don't really convey just how shockingly small the screen really is! 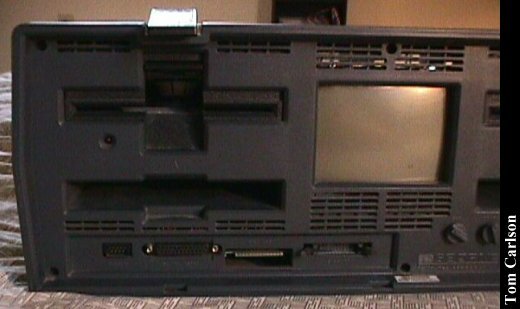 Close-up of the left side of the front. 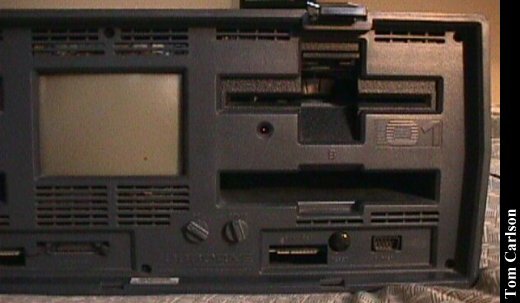 Close-up of the right side of the front. 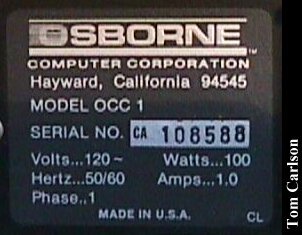 Osborne Nameplate, Model OCC1, Serial Number 108588. Here's what it looks like, standing on end. Yes, it does lean to the right. 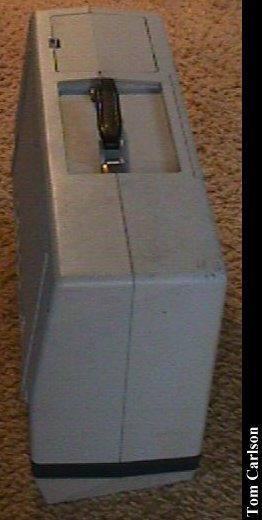 Side view of the case standing on end. 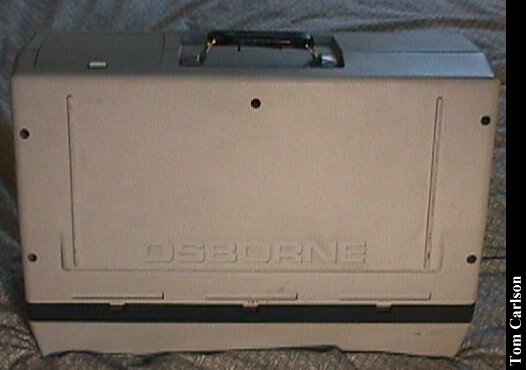 Notice the Osborne logo molded into the side. Click here to view all comments for the Osborne 01 (2nd version) and to leave your own.